Now that you know all about rectification, a mid-to-late 19th century phenomenon, let's go a little earlier in the century. As Chris Middleton pointed out in his comment, there were multiple transitional technologies along the way to the continuous still as we know it today in bourbon-making. Although the earliest form of still, the alembic, is still in wide use these transitional designs mostly died out as the modern continuous still emerged. A conversation here about one of the most important transitional forms started a year and a half ago with a post about how Leopold Brothers Distillery in Colorado was trying to recreate the distinctive Maryland ryes of legend. One characteristic of these early ryes, made in and around Baltimore and also Philadelphia, was the chamber still. We heard from David Wondrich, Chris Middleton, Todd Leopold, Thomas McKenzie, and others on the subject. We learned that chamber stills were made of copper but also sometimes wood. There is an explanation of how such a still works here. We were all over it that June. Now we return to Leopold Brothers and Todd Leopold, who has -- along with the folks at Louisville's Vendome Copper and Brass -- designed and built a production scale chamber still. It is copper, not wood, stands about 20 feet high, and has four chambers. Innovation like this, by the way, is what it means to be a craft distiller. As in a column still, steam is introduced at the bottom and mash enters at the top. Gravity is used to move the mash through the system, but unlike in a column, steam and mash can 'work' in each chamber as long as the distiller wants. The first chamber, the highest, is a pre-heater, which brings the mash nearly to boiling before it enters the first distillation chamber. Mash is held in the first chamber as steam bubbles through it. When that chamber has done all it can the mash is dropped into the next chamber, which is hotter because it is closer to the steam source. The third and final chamber is the hottest. Because different alcohols and congeners boil at different temperatures, sending mash through three heat 'zones' effectively frees the alcohol, concentrates good congeners, and eliminates bad ones. As each batch moves from chamber to chamber, another batch is on its heels. The process is continuous, but in a batch sort of way. The chamber still is a particularly American solution because it allows distilling on the grain, which has always been practiced in America. In Scotland and Ireland, whiskey is distilled on a wash, from which all solids have been removed. This allows them to use large but relatively simple alembic stills. Leopold became fixated on the chamber still because it figures so prominently in the early history of rye whiskey. It also solves a production dilemma for Leopold Brothers. 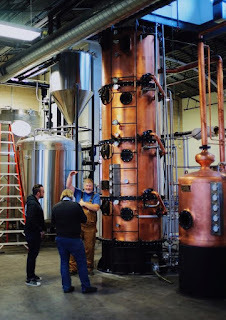 They need more whiskey production than their pot and pot hybrid stills alone can deliver, but they don't want the huge output of a full-on column still. They already have one for making neutral spirits but for whiskey, "a column still is a volume instrument," says Leopold. "It doesn't make sense to buy one if you aren't going to run an awful lot of mash through it around the clock." A three-chamber still is a nice, happy medium. "We have no interest in becoming a large distillery," he says. "That's not our path." The difference between a continuous still and a chamber still is like the difference between an espresso machine and a French press coffee maker. In the former, steam is forced through the grounds in seconds. In the latter, grounds linger and steep in the hot water to taste. The results are both coffee, but very different. For most continuous bourbon stills, mash is inside the still in contact with steam for about three minutes. In the three-chamber still it's more like an hour. Both technologies extract all of the alcohol from the mash, but the chamber still extracts more flavor. It isn't just the unique still. At Leopold's request, a Colorado farmer has planted 100 acres of an heirloom rye strain that was used by distillers in Maryland and Pennsylvania, and also by bakers in the Carolinas. Its difference, compared to modern strains, is starch content. Modern cereals are bred for high starch content. Starch becomes alcohol, so more starch means more yield, but starch content increases at the expense of flavor. Modern rye strains are about 70 percent starch but the one Leopold is using is about 64 percent. "It has a much richer, nutty and floral flavor," says Leopold. You can see where this is going. Both the still and the grain variety are less efficient but produce a more flavorful spirit. "We are trying to recreate the flavors of those original ryes simply because they are lost to time," says Leopold. 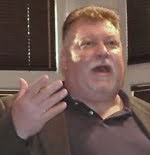 "It would be a shame to let such a glorious tradition of American whiskey production that was all but wiped out by Prohibition stay wiped out." From the still's thumper, the distillate goes into the barrel with no additional rectification. A lot of work has gone into this recreation but now comes the hardest part; waiting while it ages. Fascinating!!! Nice to hear about Leopold Brothers. Thank you. What is the spirit proof do they get in the end after the thumper? What would be a proof from the still if they did not use thumper (i.e. spirit proof before thumper)? What specific temperatures do they hold in each chamber during distillation? It comes off the thumper at 65% and is reduced to 55% for barreling. You'll have to ask Todd about the other stuff. 1) Hell yeah! Let's recapture some of what was lost to Prohibition, particularly what made our spirits (and beers, and ciders) something much better than what they became in the years since! *Witg all due respect. Leopold Bros. are making some great stuff. So where can I get some? How much mash can be held in each chamber? Are their draws on each chamber or do it all come off the same draw at the end? I'm not sure what happened to my comment here on day one, but I couldn't be more impressed by what the Leopolds have accomplished here. 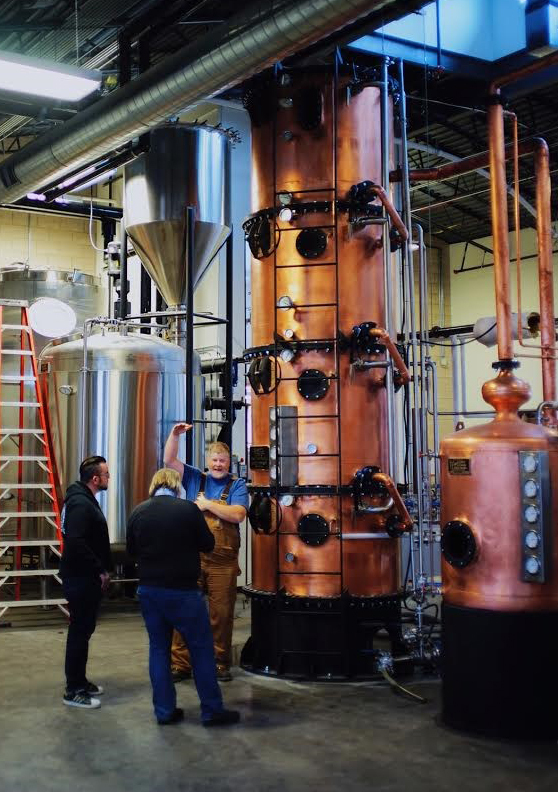 This is an amazing achievement in modern American distilling that can only be improved by the addition of no corn to the mash, a sweet mash fermentation, and heated aging...can you say Monongahela? I wish I could come visit this amazing contraption!! Every comment I've received has been posted. I don't doubt that, Chuck. I'm guessing it was ghosts in the machine. Technology...it's both a blessing AND a curse. Thanks! That's actually my back in the picture, and having seen it and discussed it with Todd at some length, I have to say that it's a hell of a thing they've done--bold to the point of (slight) insanity, true, but with the potential to change the way we make rye and bring it out from bourbon's long shadow. Impressive as hell. The Rye we use does grow well in Colorado, as it's a very dry State. As you point out, the humidity of the east coast actually wreaks havoc on rye in terms of molds and disease. I"m sure you know that the big rye producers get all their rye from Germany these days. As for the Three Chamber Whiskey, it will be 80% rye, 20% distiller's malt (the common formula used in the 1880's), sweet mash, and at least some of the barrels will be in a heated warehouse. Each chamber holds several hundred gallons of mash. The steam is directed through each individual chamber, one after the other, and is then directed through a thumper and in to a condenser. The still is run for just 20 minutes, running through heads hearts and tails, before it is stopped, and recharged with fresh mash in the top chamber, while the bottom chamber exits the still as stillage. I would love to distribute your products in CT. I emailed you through the website. What else can I do to get a conversation going to that end? Is a Bourbon Tour Appropriate for Children?